The improvements being seen through the strategic therapeutic use of a ketogenic diet for a variety of conditions is difficult to ignore. While mainstream medicine continues to promote pharmaceutical treatments for some of the worst chronic health problems of our day, there is compelling research emerging on the horizon into the use of a low-carb, moderate protein, high-fat diet for turning these conditions around. That's why Jimmy sought out 22 of the world's best experts on this topic to interview them for a brand new book releasing this week called Keto Clarity: Your Definitive Guide to the Benefits of a Low-Carb, High-Fat Diet. 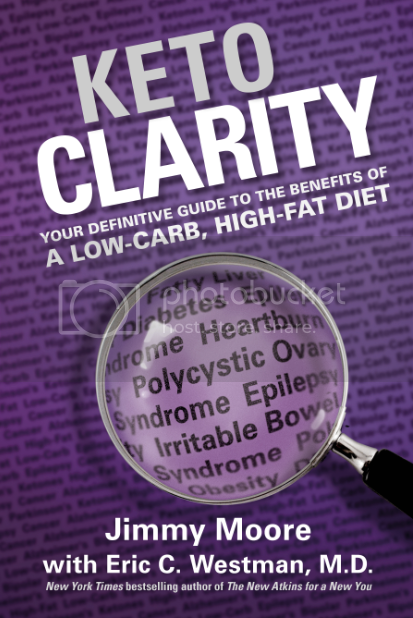 To celebrate the release of this much-needed book on a misunderstood topic like ketosis, we are airing BRAND NEW INTERVIEWS with the various experts who helped contribute "Moment Of Clarity" quotes throughout the book in the coming weeks with informal half-hour chats. 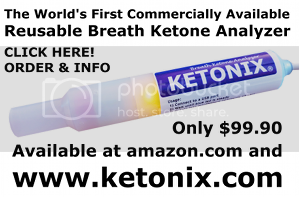 These experts are the cream of the crop on why ketones are better for optimizing health than most people even realize. Jimmy's coauthor Dr. Eric Westman will be on the show tomorrow when the book releases where they share more about why this book about all the health benefits of ketosis is needed now more than ever before. Don't miss it! Today's Keto Clarity expert interview is with a newborn medicine physician named Dr. Mary Newport from the "Coconut Ketones" website who started researching the use of ketones in the treatment of her husband Steve's Alzheimer's Disease by increasing coconut oil in his diet when he was diagnosed with it. Check out Jimmy's previous interviews with Dr. Newport in Episode 240 and Episode 612 to hear the incredible story of transformation that took place in Steve's Alzheimer's Disease as a result of ketosis. In 2008, Dr. Newport wrote a case study called "What If There Was A Cure For Alzheimer's Disease And No One Knew? which was followed by a book in 2011 entitled Alzheimer's Disease: What If There Was a Cure? Listen in to hear Jimmy and Dr. Newport share about why ketones are healthy from birth to the twilight of life. And keep listening to "The Livin' La Vida Low-Carb Show" podcast in the coming weeks for more fresh, new interviews with the Keto Clarity experts. - "What If There Was A Cure For Alzheimer's Disease And No One Knew? - Alzheimer's Disease: What If There Was a Cure?